We are a small hobby breeder located outside of the Sandy Run area of South Carolina. 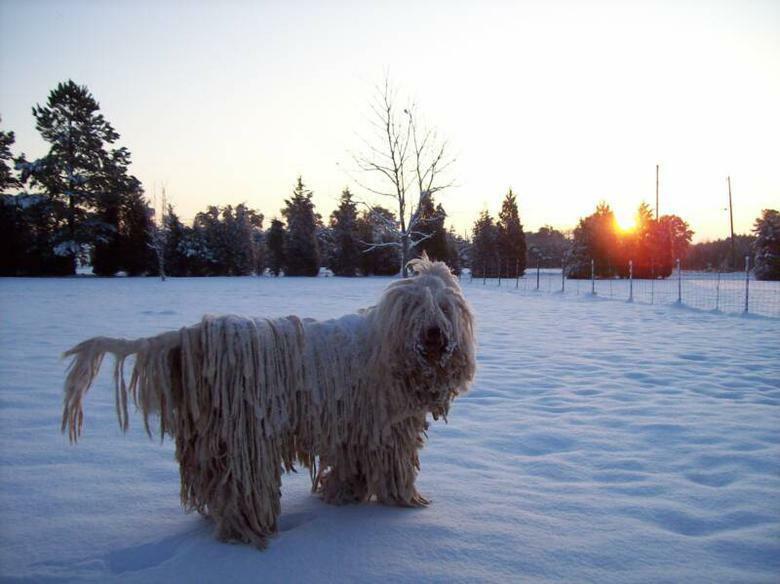 We strive for soundness in health, temperament, and conformation, breeding only select individuals whose qualities will contribute to the betterment of the breed, according to the Komondor Breed Standard. 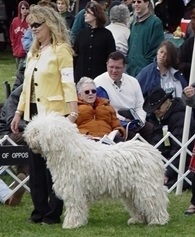 Debbie became interested in the Komondor in 1999 and acquired her first show Komondor in 2000. Her first litter was whelped in 12/2003. 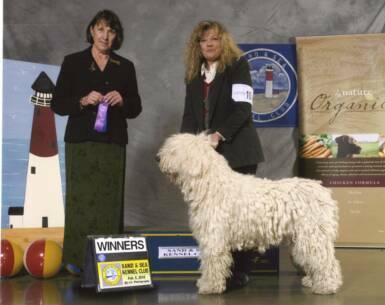 Debbie is a Professional Dog Trainer and currently serves as an officer for the Komondor Club of America . 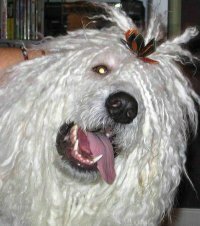 She is the CHIC liaison between the Orthopedic Foundation for Animals and the Komondor Club of America. She is a CGC Evaluator for the American Kennel Club and a member of The Columbia Kennel Club , Carolina Working Group Association and the Australian Shepherd Club of America. 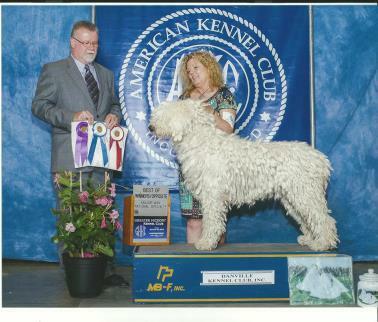 Kevilyn's Komondorok * is listed on the Komondor Club of America's breeder directory and have met the criteria to become an AKC Breeder of Merit. Scroll over unmarked images for identification. 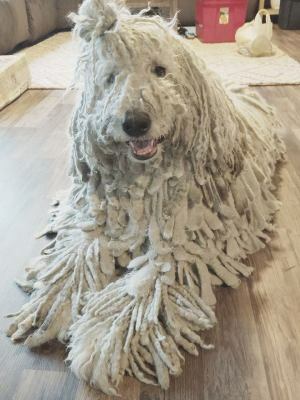 All dogs used for breeding have passed the necessary health requirements as mandated by the Komondor Club of America's Breeders Code of Ethics. Hips are radiographed for dysplasia and submitted to the Orthopedic Foundation for Animals. The eyes have been examined by a Board Certified Canine Ophthalmologist and submitted to the Canine Eye Registry Foundation. 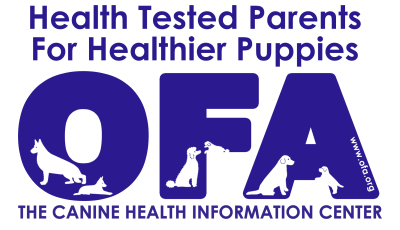 Dentition certification as well as DNA for Degenerative Myelopathy have been submitted to the Orthopedic Foundation for Animals. It's official! Lucy (Ch. 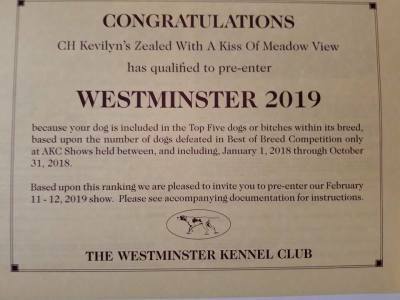 Kevilyn's Zealed With A Kiss of Meadow View) finished in the top five and therefore received an invitation to the Westminster Dog Show held at Madison Square Garden in NYC. We are so proud of her!